There are numerous ways to input text into handhelds. You can use the onscreen keyboard, install custom letter recognition software, learn Graffiti strokes, attach a wireless keyboard, input from a desktop computer, and more. Through eBay, I purchased a Bluetooth Virtual Keyboard. 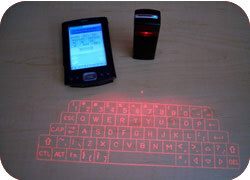 It's a small device that uses laser beams to project an image of a full-size keyboard onto a flat surface. 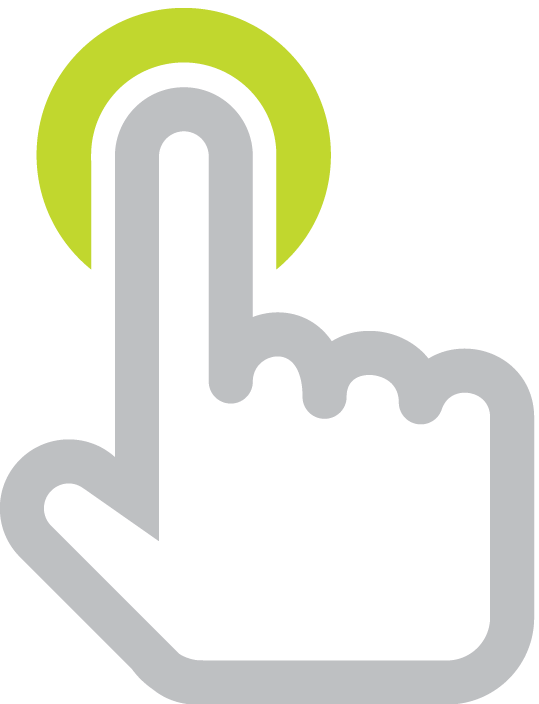 When you touch a virtual key, the device transmits it to your handheld (Palm or Windows Mobile). It seems so futuristic and is really fun to play with. However, I wasn't able to touch type very well with the Bluetooth Virtual Keyboard. After experimenting for a while, I learned that approaching the keyboard with my fingers from the right angle improved the accuracy. This keyboard has potential, but I don't think it would work very well in a classroom setting. First, students wouldn't be learning proper keyboarding technique. Second, Bluetooth equipped keyboards don't work very well when the room is full of them because each handheld much be specifically paired with a specific keyboard. But, the keyboard has a definite wow-factor, and that's why I bought it. If you run into me at workshop or conference, ask to see the Bluetooth Virtual Keyboard because it is an intriguing piece of technology! The wireless keyboard is the clear winner, although I know my real typing speed is faster than 26 wpm. I find it interesting that my Graffiti speed is not much faster than my onscreen keyboard speed. If I had time, I would conduct several trials for each method, giving me more reliable data. And, for your information, the average adult handwrites at about 22 word per minute and the average elementary student handwrites an average of 8 to 10 word per minute. I encourage teachers and students to do a similar experiment to determine how their methods of input compare. For more information about keyboarding, read my previous blog post titled Keyboarding.